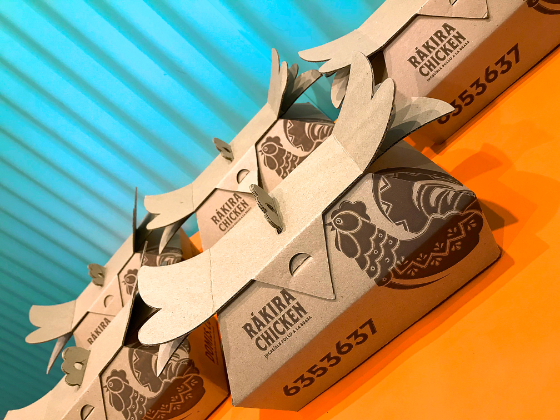 Rakira Chicken is the sister brand of Sierra Nevada Hamburguesas, a new venture that seeks to offer the food market a different grilled chicken. Its name communicates and relates us to the handmade, colorful and rustic character of Ráquira in Boyacá -Colombia. 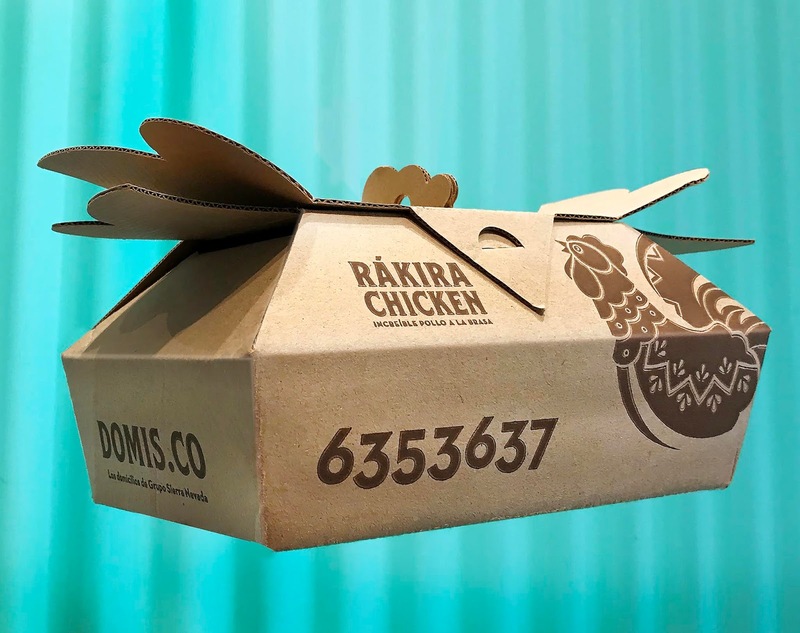 This is where our inspiration comes from, in which we refer to the literalness of typical Colombian handicraft doing reference to the chicken, we seek to mix the rustic character and humor in a single packaging. 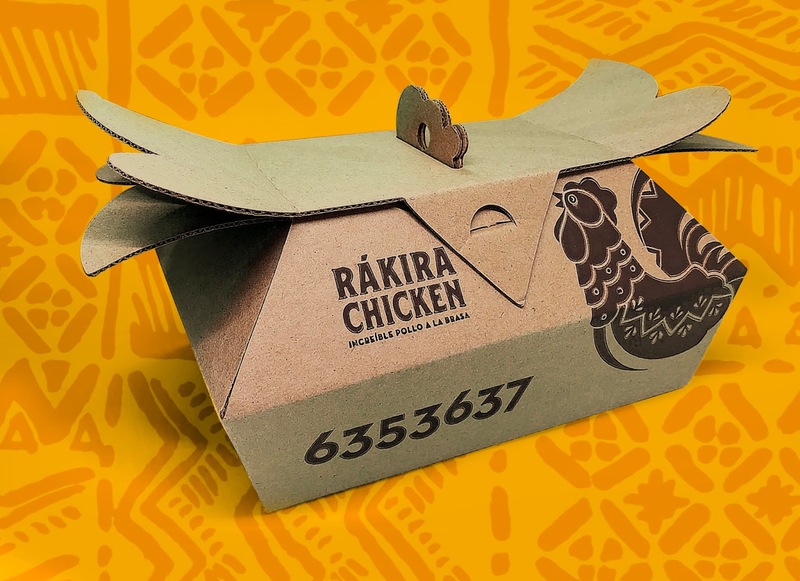 Using micro-corrugated cardboard in a single water-based ink, rescuing the ecological and natural character, this stackable and easy-to-assemble packaging is completely efficient for delivery and often for eat at the store. We wanted to break, just like the brand with the classic package for grilled chicken, a classic Colombian dish.